Elon Musk and SpaceX plan to launch over 4,000 satellites tasked with providing a lightning fast satellite Internet network to the whole world. Between his plans for Mars, electric cars, reusable rockets, and a future Hyperloop train, Elon Musk is constantly making the news. The latest of his ambitious projects is to connect the whole world to the Internet via a constellation of 4000 satellites. 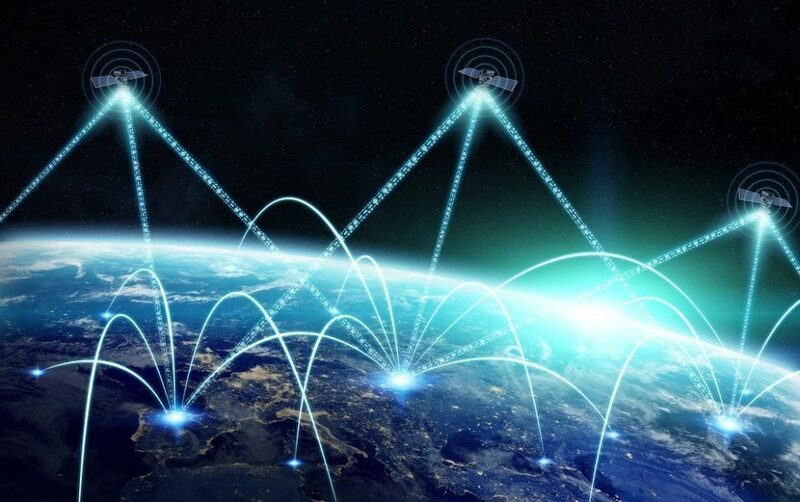 Satellite Internet constellation projects aiming to provide broadband Internet services around the world are multiplying. The use of satellite networks for Internet access is the best way to provide wide coverage and high broadband connection. With their OneWeb project, Qualcomm and Virgin plan to launch a constellation of 648 low-orbit satellites to provide broadband Internet to the most remote areas. Unsurprisingly, Elon Musk’s SpaceX has its own plans to dominate the sky and provide quality satellite Internet to every corner of the planet. On November, 15, SpaceX filed an application with the Federal Communications Commission (FCC) seeking authorization to launch 4,425 low-orbit satellites. A SpaceX satellite flotilla would overshadow the 1,419 active satellites currently orbiting the planet. SpaceX aims to realize the plan in two stages: initially, it would launch 1,600 satellites that will provide coverage for the United States, Puerto Rico, and the US Virgin Islands. Then, the company will complete the deployment of 2,825 satellites to cover the entire globe. The completion of this constellation, estimated at $10-15 billion USD, is expected to take five years. SpaceX satellites will be small and compact compared to average satellites: weighing about 850 pounds, with a lifespan of 5-7 years. The satellites, orbiting at low altitudes ranging from 715 to 790 miles from Earth’s surface, will provide a wide range of 5G wireless broadband speeds (up to 1 Gb per second) for users around the world. If SpaceX successfully implements their satellite Internet network, they could be every person’s Internet service provider. The service would be faster than most broadband Internet available to U.S. households. However, with only one dominant ISP, anonymity would be harder to protect. Once banned or red flagged, a user would likely have no Internet access at all. Our globalized society is predicated on the assumption that most people have Internet access. Yet, according to the estimates of the International Telecommunication Union, 4.3 billion people (59% of the world’s population) are not connected to the Internet, with 90% of that figure coming from developing countries. Tech giants plan to connect the world, developing technologies that make the Internet accessible to everyone. SpaceX would use a constellation of satellites. Google’s Loon project aims to develop access to the Internet in uncovered areas via stratospheric balloons. Even Facebook has a plan, creating Internet.org with other partners to develop, among other tools, an app that offers free access to a selection of websites. Could Elon Musk become a modern Cosimo de’ Medici, the 15th Century Banker to the Pope? It’s one thing for such power to be in the hands of a government that is supposed to serve public interests but still might be manipulated by politicians and special interests. It’s quite another for such power to be in the hands of a single individual, or a corporation that is legally bound to serve shareholder investment interests rather than public interests.